My personal Memorial Day tradition is fairly low-key. There’s a small veterans’ memorial in my town, and it happens to be on a route that I walk regularly, so when I pass by it on Memorial Day I take a few minutes to pause, read over some of the names engraved on the stones, and reflect on service and sacrifice and all of the other things that Memorial Day is built around, including the one animating question that should be on all of our minds: how do we move toward a world where no more names wind up on those stones? Powerful, public military alliances like NATO are one way to do that. They work for two reasons. First, members of an alliance have virtually no incentive to attack one another. By fostering military cooperation, intelligence sharing, and good old-fashioned camaraderie, an alliance reduces the likelihood of member nations starting trouble with one another. Second, and perhaps more obviously, they work because they make it a hopeless prospect to attack any member of them. NATO is particularly explicit about this: Article 5 of the charter defines an attack on one member as an attack on every member. By preempting conflicts among member states, and deterring attacks by non-members, an alliance saves countless lives without firing a shot. But all of these accomplishments, all of these stone monuments left bare of new names, depend on an absolute belief among friend and foe alike that the alliance will act to protect its members. Every chip in that belief gives marginal or wavering members more reason to walk away; every chip in that belief shifts an adversary’s calculations ever-so-slightly in the direction of aggression. And trust, once lost, is very difficult to reestablish. Throughout his campaign and presidency, Donald Trump has criticized NATO in a deeply irresponsible way. 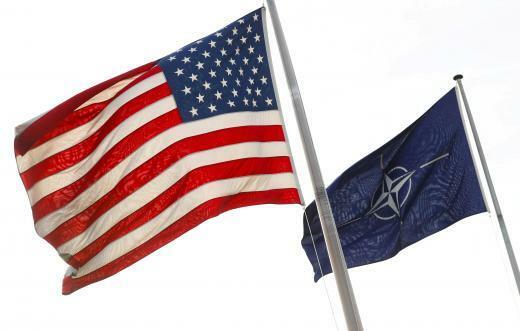 On the one hand, NATO has decades of trust built up, many people and institutions invested in its success, and that most precious of things, real-world proof of promises kept: when our nation was attacked on 9/11, we invoked Article 5 and the rest of the alliance responded. A single American presidency is unlikely to shake it. On the other hand, the erosion of trust in NATO now leaves it open to further erosion later. Even if the President after Trump dedicates half of his or her inaugural address to committing to NATO, people will have to wonder if that President might be followed by another Trump. Institutions like NATO suffer from the fact that when they serve their purpose, a casual observer might not understand their significance. But make no mistake: the NATO alliance has saved lives. It has kept names from being engraved on stones. We should all be deeply concerned when the commitments and faith that make it function are called into question. And as the only nation to invoke Article 5, to declare that an attack on us is an attack on our allies, we should be gravely concerned about what it says of our national character when our President gives reason for our allies to doubt us. Previous How Special Is The Special Counsel, Anyway?